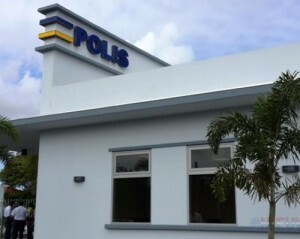 WILLEMSTAD - Navy corporal Iris Homan from Hengelo, the Netherlands was found dead in a swimming pool on the island of Curacao on May 21st. Her husband Bart D., also a corporal in the Dutch navy, was arrested. D. is not suspected of murder or manslaughter, "but of a certain negligence that led to her death", a spokesperson for the Public Prosecutor on the island said. Homan's body was found around 4:00 a.m. on May 21st in someone else's swimming pool. The couple attended a party at the home. D. called the police himself. The island authorities are investigating whether excessive drug and alcohol use led to the Dutch soldier's drowning. D. was arraigned last week Monday and remanded into custody. His custody has since been temporarily suspended, so that he could come to the Netherlands with his wife's body for the funeral. He remains a suspect. The couple both worked as corporals in the Royal Navy''s logistics department. They've been stationed in Curaçao since 2013 and got married on the island a year ago.